He says flying economic class is a way of leading by example. Ng E-Jay & Leong Sze Hian. Prime Minister Lee Hsien Loong’s uncharacteristic comments about flying economy class as a way of leading by example cannot be taken seriously. The only way for him and his senior ministers to gain greater respect would be to lower their own salaries to more acceptable standards. A SOUTH Korean official got it all wrong when he called Prime Minister Lee Hsien Loong’s decision to fly economy class “praiseworthy” and “pragmatic”. The entire exchange, as well as the Chosun Ilbo’s coverage of it, was reported in the Straits Times. Both leaders spoke after attending the Asean-South Korea Commemorative Summit in South Korea. When politicians start making statements that display a false sense of humility, one cannot help but question the premise of those statements as well as the issues that those statements obscure. Mr Lee’s assertions of “leading by example” seem rather hypocritical, given the pay he receives as a minister. Had Mr Lee’s statements come from a politician of any other developed country, they would probably not cause any stir. But Mr Lee is the highest paid politician in the world by a wide margin, and one cannot help but wonder at the purpose of this false sense of humility. It may well be true that South Korea’s per capita GDP is only half that of Singapore, as Mr Yoon had stated when he questioned PM Lee on the latter’s choice of transport. However, Singapore cabinet ministers on the average earn 20 to 50 times more per dollar of GDP compared to politicians of other developed countries like US, Britain, etc. 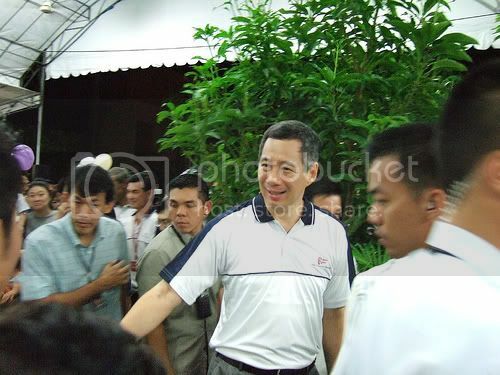 It is equally facetious for Mr Lee to claim that he thought Singapore was not an affluent country, in light of the fact that the ruling party frequently touts the competence of their cabinet ministers and public servants and high rate of economic growth as the justification for the ministers’ million-dollar salaries. If Singapore cannot be considered an affluent country, why are we affording our ministers such affluent lifestyles funded out of the taxpayer’s pocket? If you are one of the almost 300,000 Singaporeans and permanent residents who still earn $1,200 or less a month, or one of 126,000 or so working part-time for a median monthly income of $600 that has remain unchanged for the last nine years, how would you feel after reading the news about Mr Lee’s remarks? If you are one of the 95,600 who are unemployed with no prospects of a job on the horizon, or one of 60,000 who are having problems paying your mortgage for your HDB loan flat, would you not be upset at the outrageous salaries that the ruling party declare for themselves? It is sad that Mr Yoon has mistaken Singapore’s ruling party’s self-serving attitude and Mr Lee’s misguided sense of humility as “pragmatism”. The false modesty displayed by him should never be mistaken for humility. Indeed, Mr Lee’s assertion that all ministers fly economy for flights under six hours is questionable. It is known that permanent secretaries used to fly first class for all flights, and that was subsequently changed to business class for short flights and first class for long flights. It will also be interesting to ask when this policy to fly economy was implemented, and whether senior official fly business or first class for flights over six hours. If our ministers really want to lead by example, perhaps they could consider reducing their salaries some more, as a $1.5 million annual salary is still unjustifiably high. Only then can they earn a greater measure of respect among the poor and disenchanted.